[55% OFF] 2019 ZAFUL Slim Sweater With Threaded Scarf In BLUE GRAY | ZAFUL .. 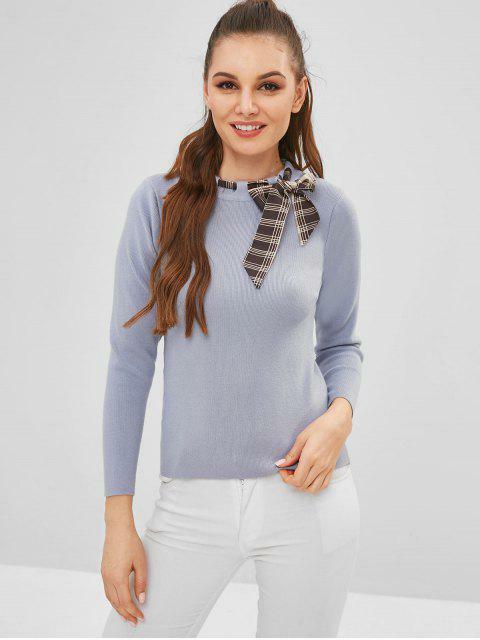 The basic slim sweater gets a feminine update with a checkered scarf threaded around the collar and tied to a bow. We love it paired with checked bottoms to match the threaded scarf.